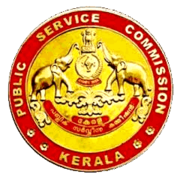 Kerala PSC Recruitment 2019 - Apply Online for 100 Lecturer, Clerk & Other Posts in Kerala on Direct Recruitment. Online Applications are invited by Kerala Public Service Commission from 10 Apr 2019 to 15 May 2019 till 12 Midnight for 100 vacancies. 01 1. A Pass in the SSLC or its equivalent examination. 01 (i) Pass in S.S.L.C or its equivalent. 03 (1) Must be a pensioned Junior Commissioned Officer of the Army or equivalent in the Navy or Air Force. 01 Pass in SSLC or its equivalent. 03 S.S.L.C or its equivalent qualification. I or II Class Masters Degree inVeena or it's equivalent from any statutory University / “University and Deemed Universities recognized by the UGC”. 01 Post Graduate Degree in Botany / Zoology with not less than 50% marks from a recognized University. 01 1. M.D. (Ayurveda) Netra/Salakya awarded by a recognised University. 2. “A” class registration in the Travancore-Cochin Medical Council. 13 1. Degree in Veterinary Science. 02 Degree in Modern Medicine or equivalent qualification. 02 Masters Degree in the subject concerned with not less than 50% marks or its equivalent and good academic record. 01 1.Masters Degree in the concerned Subject with at least 50% marks or its equivalent and good academic record. 02 Kerala Government Certificate Examination in Civil Engineering. 1) Must have 3 (three) years regular service in any cadre in the Member society affiliated to the Kerala State Handloom Weaver's Co-operative Society Limited (HANTEX) and should be in service of the Member society not only on the date of application but also on the date of appointment to the new post. 1) Must have 3 (three) years regular service in any cadre in the Member society affiliated to the Kerala State Co­operative Consumers Federation Limited (CONSUMER FED) and should be in service of the Member society not only on the date of application but also on the date of appointment to the new post. 07 1) Should have passed SSLC or Equivalent examination. 12 First class Bachelors Degree in appropriate branch of Engineering/ Technology from a recognized University after undergoing a regular course of study. 17 1 Pass in Plus Two/Pre-Degree with science as the main subject. 03 Pass in SSLC or its equivalent qualification recognised by Government of Kerala. 01 Must possess BSc. (Chemistry) degree with a minimum of 55 percent marks of a recognised University. 01 Post Graduate Degree in Psychology with not less than 50% marks from a recognised university. 04 (i) Medical Post Graduate Degree such as MD/MS from a recognized university/ DNB in the concerned discipline. On the basis of Written test/ OMR/ Online Test. Eligible candidates may apply online at Kerala PSC's website (direct link is given below) from 10 Apr 2019 to 15 May 2019 till 12 Midnight. Candidates log on to https://www.keralapsc.gov.in/. Go to "Sign Up" & Register yourself.